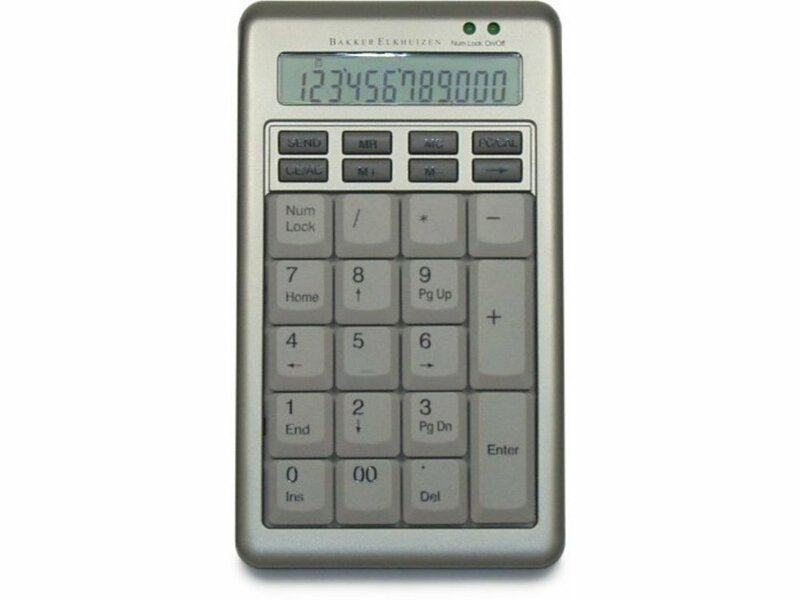 This slim, lightweight USB number pad can also work as a standalone calculator either connected to your computer or disconnected (battery included). When connected the calculations shown on it's own LCD screen can be sent to your computer with the send button and the Num Lock status is independent form the systems making it perfect for use with embeded keypad keyboards. The keypad has been designed to compliment the KBC-1525ESAT, but will work with other keyboards and systems, retractable cable included.